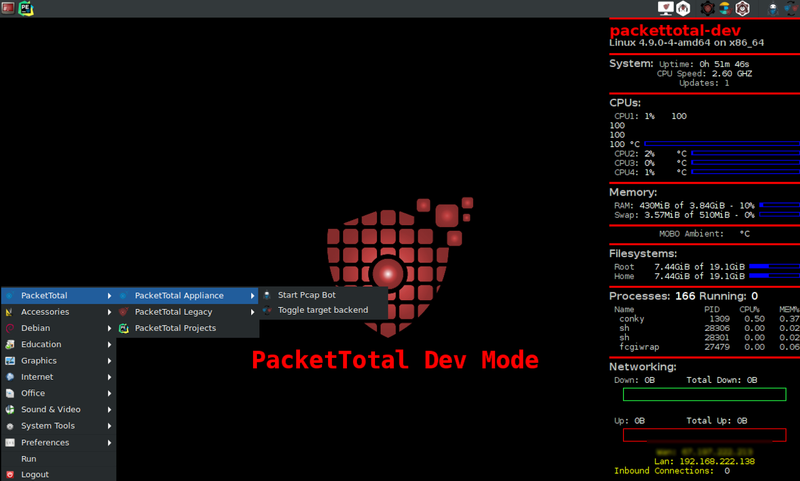 PacketTotal.com is almost one year old, and has come a long way since the initial release of the tool. The theme for 2017 was around usability and functionality. We wanted to make the process of analyzing packet captures easy, and provide a simple platform for sharing these captures with others. With the release of PacketTotal 2.0 these objectives have mostly been completed! Going into 2018 we are shifting our focus towards making the tool more community oriented and more accessible to developers. Improve intelligence aspects of the tool. This means new analyzers and intelligence sources as well as continued improvements to the search algorithm. Build out a community. Much of the analysis found within packet-captures could be further enriched with community knowledge. You will continue to be able to submit packet captures as normal through the web-site, but will also have the option to login and be granted additional access to the tool (Details forthcoming). Add features for researchers and developers. A public API has been in the works for some time, and will be released this year. Going a step further we plan to release a private virtual appliance that researchers can setup locally in their own lab environments. An SDK is also being developed and will ship with the virtual appliance. Thank you to all those who have had a chance to use the tool or suggested additional features!